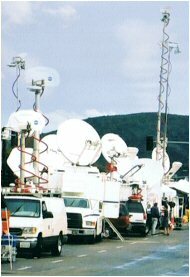 IPN provides incident notification services to television, radio and print media outlets throughout the United States and Canada. Our extensive network of dispatchers transmit more than 400 breaking incidents a day, helping your news desk get the jump on breaking news and a leg up on your competition. IPN covers everything from SWAT incidents to plane crashes. We alerted our members only moments after the first plane struck the World Trade Center on September 11th, 2001, and our New York dispatch team provided first-hand details to our subscribers in real time as the events of that day continued to unfold. If you are a member of the news media or represent a media agency interested in subscribing to the Incident Page Network, please click here to contact the IPN support team.